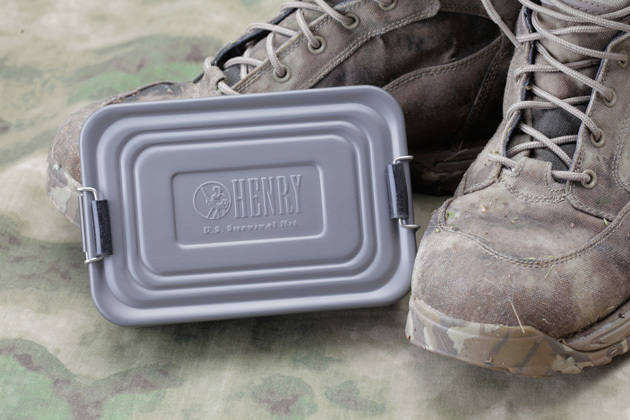 Henry Arms survival kit reviewed by my friend Frank and photographed by me. This entry was posted in hunting, nature, tools and tagged AllOutdoor. Bookmark the permalink. Not bad for a kit that can be stored in a jacket pocket. Some holes of course (especially for winter conditions) but picking out your camping site intelligently will help negate that. The comment on price is valid, but if you were to buy the components separately, you would find yourself spending more than the quoted $99 MSRP. The Katadyn water purifiers for example sell for nearly $20 alone at Academy. Thats a cool little kit and great shots. the $99 sounds about right given what’s in it.